With a philosophy of “small but powerful”, Sacramento, CA-based TC Printing knows how to differentiate themselves from their peers. The addition of an MGI Meteor DP8700 XL multi-substrate digital press has catapulted them into new markets, expanded their business and grown their customer base. A family-owned business founded in 1986 as a Kwik Kopy, TC Printing provides their customers with a broad range of 4-color printing capabilities, full service finishing and binding, and the highest level of customer service. They cater to a wide customer base, including associations, schools, the health care industry, public relations firms and advertising agencies. TC Printing had been offering digital printing services to their customers, but they found that their increasing volumes were becoming a challenge for their current digital device to keep up with in terms of consistent quality and uptime. These factors led them on a search for a higher production digital press that could meet their increasing demands and also allow them to offer new services and capabilities to their customers. After a thorough investigation, TC Printing decided on the MGI Meteor DP8700 XL from Print & Finishing Solutions, MGI’s distribution partner for California. 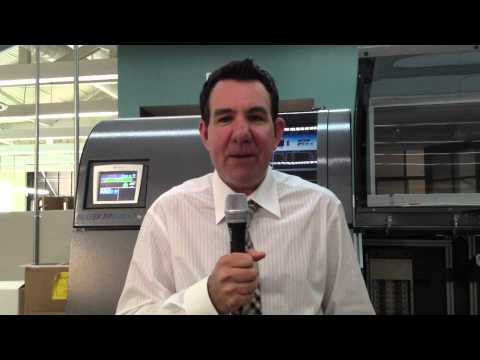 Since a lot of TC Printing’s customers were new to digital, Harris and his staff implemented a demo program where clients could come in and see the Meteor DP8700 XL in production. One key market that saw an immediate impact from the Meteor DP8700 XL was book printing. Textbooks and product catalogs make up the majority of TC Printing’s business. Their new digital capabilities have led to an increase in overall orders, including many projects created as a direct result of being able to now fulfill requests for short and ultra-short (less than 20 copies) runs. They’ve also forged strong partnerships with other printers in the area, especially ones with 40” offset presses. The Meteor DP8700 XL’s 13x40” Super Format printing abilities allow TC Printing to produce short runs of jobs that require an extended format and are not cost-effective to produce via offset. As a result, they’ve become the go-to trade printer for these types of projects.